Courtesy of TheranosWe’re finally going to see some nanotainer data. We’re getting a better idea of what information Theranos will be sharing about its blood-testing data. On August 1, Theranos CEO Elizabeth Holmes will be presenting data at the American Association for Clinical Chemistry’s annual conference in Philadelphia. 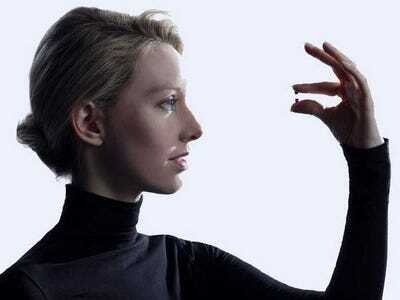 That’s going to be a big deal, because Theranos has not publicly shared any data, saying they’d rather go through the FDA process. This will be the first time Theranos data has been presented at a medical conference. The AACC released the abstract of her presentation Wednesday. Here are the biggest things we noticed. It’s going to be an education session, which means it’s not pegged to specific study data and conclusions that a study poster presentation(example) would display. They will be presenting data that intends to show how the company’s finger-prick blood test that only requires a small amount of blood stacks up to a typical blood test that draws a few tubes of blood from a vein. Among the tests Theranos will be demonstrating is a test to diagnose the Zika virus will also make an appearance. Abstract: Theranos’ mission is to deliver affordable and easily accessible clinical diagnostic testing. To achieve this objective, the company has developed a family of novel clinical diagnostic methods with the aim to simplify sample collection and reduce sample volume requirements, while performing a wide range of diagnostic tests in both centralised and decentralized settings. This presentation will describe the Theranos lab testing framework, which consists of a finger-stick blood collection and storage device, technologies for processing small volume samples in a centralised setting, and a compact fully-integrated and automated field-deployable diagnostic testing platform. Ms. Holmes will present reproducibility and correlation data for various tests comparing Theranos’ capillary collection and storage device with traditional venipuncture methods. She will also discuss methodology employed for their diagnostic testing platform, and share data to demonstrate the precision and accuracy of these chemistry, immunochemistry, hematology, and molecular assays (traditionally performed on separate instruments) using their analytical testing platform, including a novel molecular test for the Zika virus. Following the presentation by Ms. Holmes, there will be a moderator-led Q&A session featuring questions submitted in real-time by members of the audience. The moderator panel will include Drs. Patti Jones, PhD; Y.M. Dennis Lo, DM, DPhil, FRCP, FRCPath; and Stephen Master, MD, PhD. This interactive session is not part of the accredited educational program, and as such will not receive Continuing Medical Education or ACCENT credit. On Sunday, Walgreens ended its relationship with Theranos, citing the company’s decision to void two years’ worth of test results and a government agency’s rejection of the company’s plan of correction, Walgreens on Sunday said its relationship with Theranos was over effective immediately. The termination shutters an additional 40 Theranos Wellness Centres, where people can go to have their blood drawn, in Walgreens stores. Any future partnerships from here on out will most likely rely on validating the company’s technology, and this presentation in August could be critical to winning back some ground.